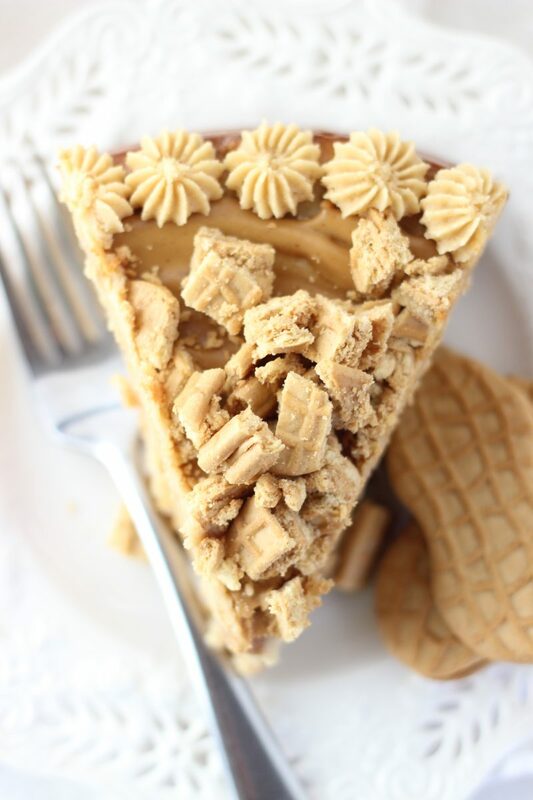 A rich and creamy peanut butter cheesecake with a Nutter Butter cookie crust! 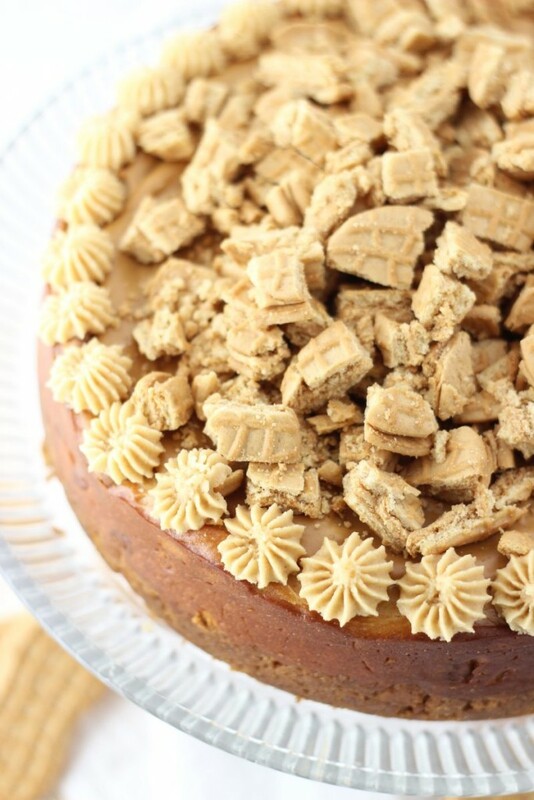 A peanut butter lovers’ favorite cheesecake recipe! If these pictures seem rushed, I’m sorry, but they kinda were. 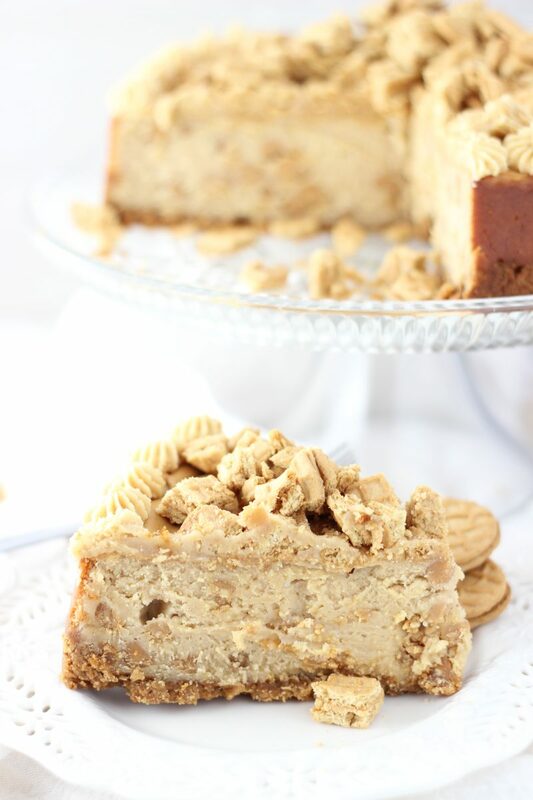 I made this Nutter Butter cheesecake and a bread pudding, then I had to leave the house for a few hours for an errand, and I ended up getting a flat tire on my way home. I’ve never had a flat tire in my life! Thankfully, it happened right on my street, so I was able to just get my car in the driveway, but there was still a mad dash to get my car towed, and to track down the right tire to replace it. Turns out, it’s not always that easy to find the exact tire you need to match your set. I was flying out of town the next morning to visit my family in Pennsylvania for a week, so it was truly a time crunch to get my car straightened out before I left so it didn’t sit there with a flat for a week. In the end, I unexpectedly had a really short window of time to get the pictures of this cheesecake and the bread pudding. That’s where I’m going with this. The photos needed to be taken before I left town for a week, and I had a smidgen of time to do it! I was rushed, and I’d also lost a lot of daylight. Hopefully you’re not thinking that these look exactly like ALL my other photos. I’d like to think I can normally set up some better pics than this?? Anyway, that’s the saga behind the cheesecake. This cheesecake is the real deal though. It’s seriously delicious. Look past the rushed photos to see the glory of this cheesecake, and it’s amazing potential. 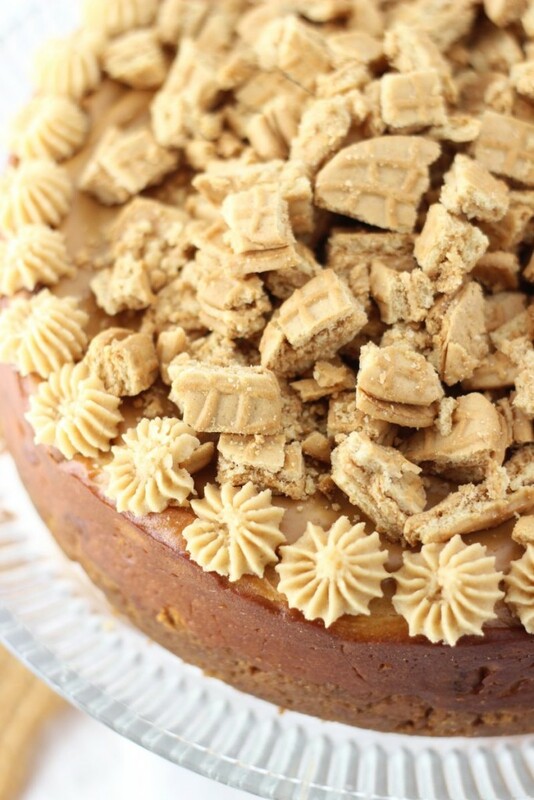 It’s like the ultimate peanut butter lovers’ cheesecake (here’s another one too!). 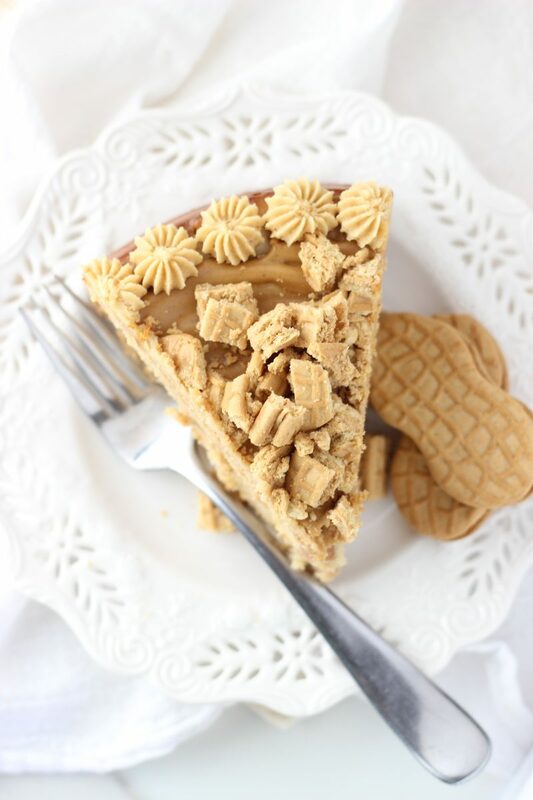 It’s a peanut butter cheesecake with peanut butter chips, and crushed Nutter Butter cookies as the crust. 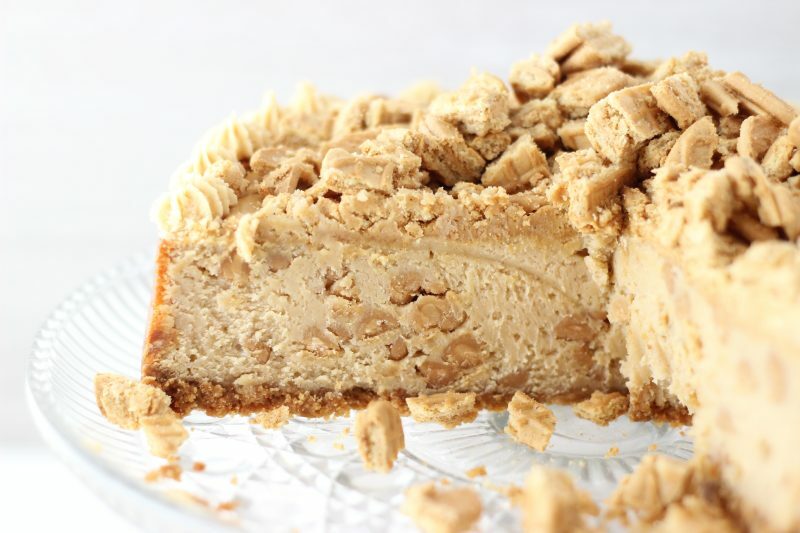 The Nutter Butter cookie crust is what really makes this recipe stand out from other peanut butter cheesecakes. You get peanut butter goodness in every single layer. 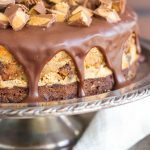 I topped it with a thin layer of melted peanut butter, and a boatload of chopped Nutter Butters. 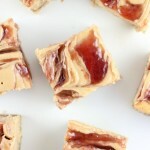 It’s creamy, crunchy, and super peanut buttery. 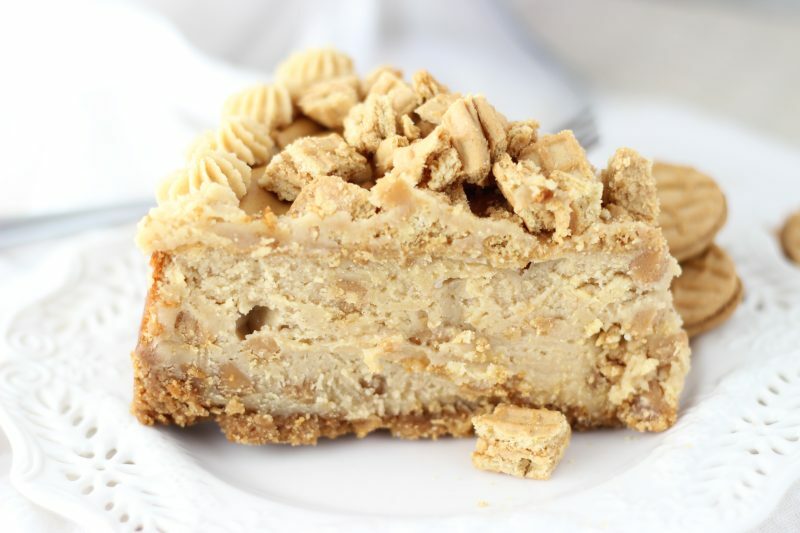 If you’re a peanut butter fan, then you’re at the right blog, and this Nutter Butter Cheesecake recipe has everything you need! 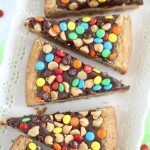 This cheesecake looks like a slice of Heaven! Who cares if you were rushed?!? Peanut butter and cream cheese?? A total win! Haha! Thank you!! I’ve been working so hard to improve my photos that it PAINED me to have to rush through these! But you’re right, what counts is PEANUT BUTTER CHEESECAKE. 🙂 🙂 🙂 Thank you. What did you use for the icing accents on the edges? I had a little leftover peanut butter buttercream! 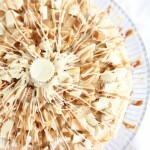 Correction – I pretty much always have some kind of leftover buttercream, and I used a little bit of peanut butter. 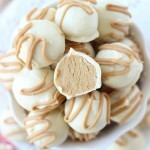 Totally not necessary though, but I have the recipe for PB buttercream a bunch of places on the site!